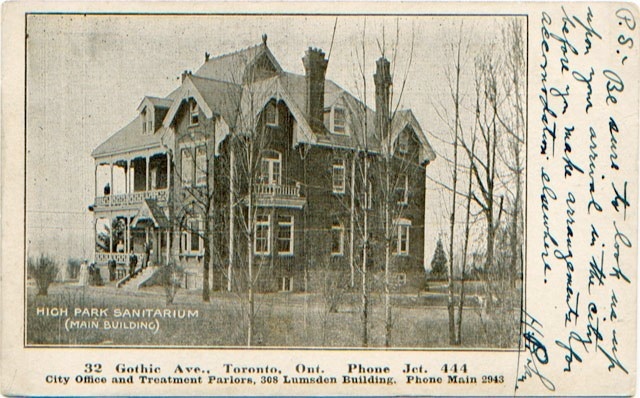 The High Park Sanitarium was created following the purchase in 1906 by Dr. William J. McCormick of 32 Gothic Avenue, north of High Park at the location of Clandeboye, the mansion of Toronto mayor George St. Leger, built in 1899. 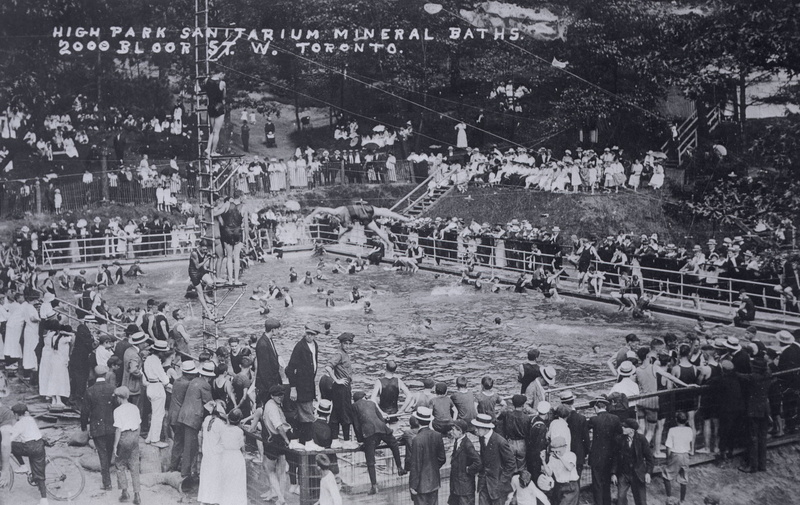 The High Park Mineral Baths were located adjacent to the sanitarium, variously known as 1962 Bloor Street West and 2000 Bloor Street West. The first baths were an oblong shape, and used by the patients of the sanitarium. 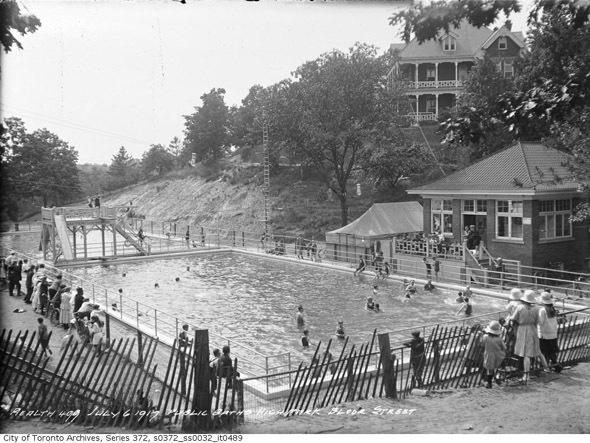 They were subsequently reconfigured into a pair of adjacent rectangular 50 foot x 100 foot pools when the baths opened for public access in 1913. 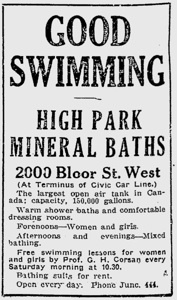 The pool was advertised at the time as the largest open air tank in Canada, at a capacity of 150,000 gallons. 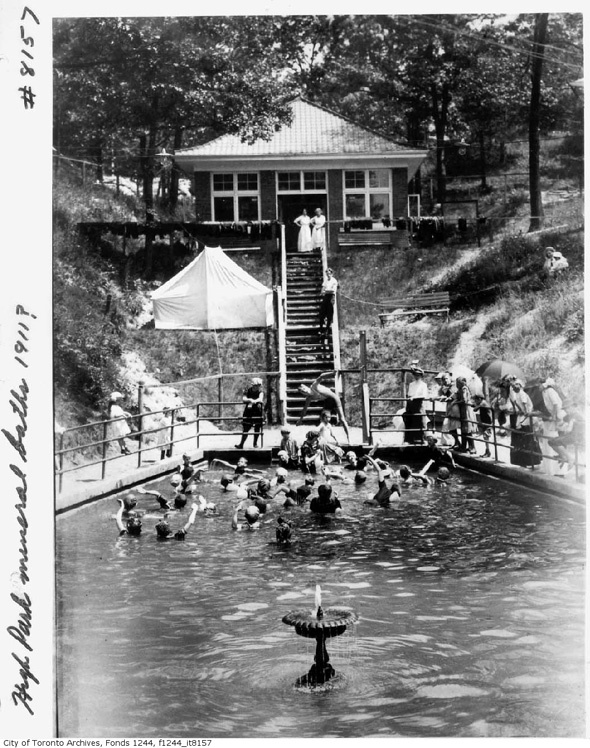 The baths were supplied by a pair of artesian wells, one 80’ deep, the other 650’ deep. The water was heated to 72°F, constantly filtered and chlorinated. 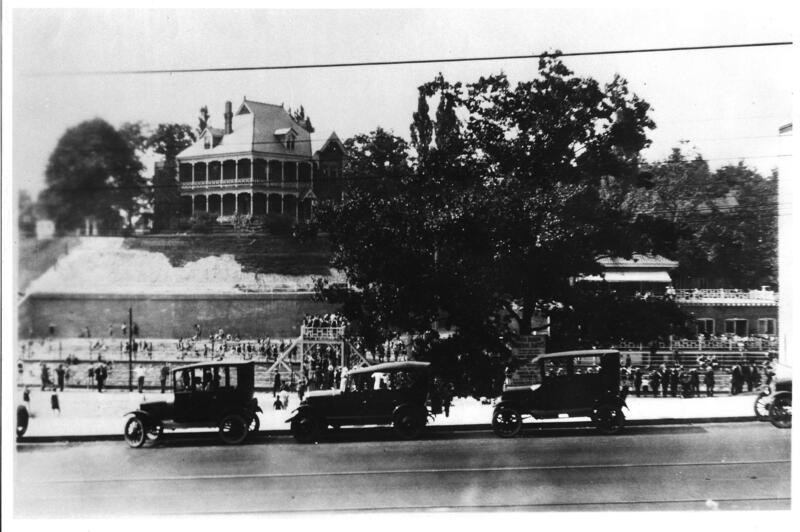 At the time, the baths were at the terminus of the civic car line (street car line), making access quite convenient. 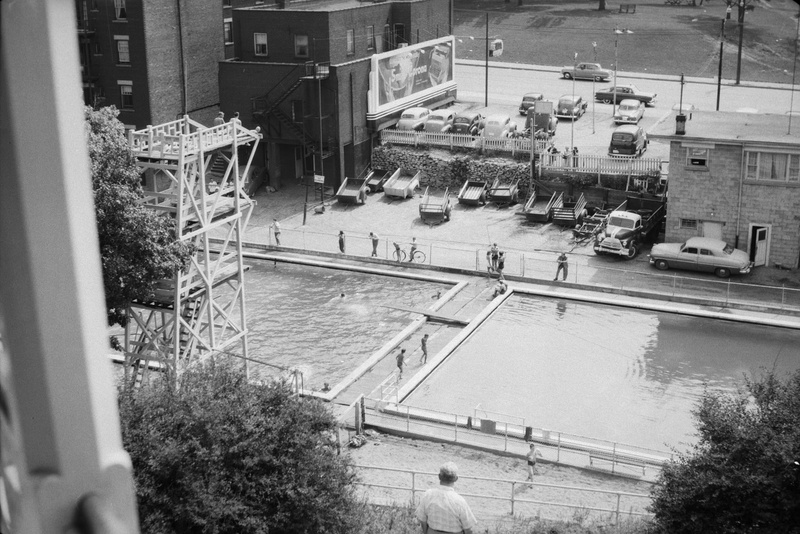 The pools were operated until 1962, when the pools were closed to make way for the underground work of the Bloor subway line. From 1922, the sanitarium was rented by Dr. McCormick to Saratoga Hospital, while 32 Gothic Avenue was rented to Strathcona Maternity Hospital. 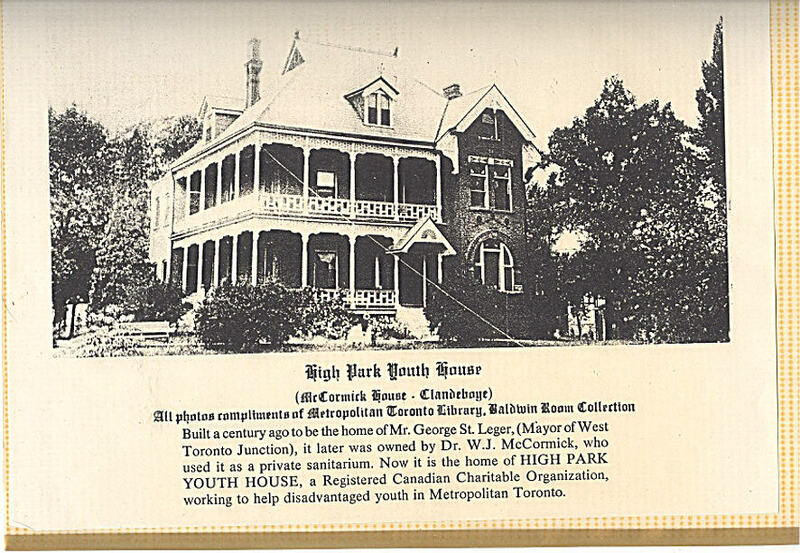 Later, Clandeboye was occupied by High Park Youth House, a charity working with disadvantaged youth in Metro Toronto. The site was eventually redeveloped into condominiums. Dr. McCormick died in 1968. “My father, Dr. W.J. McCorrmick, went to medical college in Michigan and interned in Chicago. He worked several years at the Battle Creek Sanitarium after graduation and then married my mother, Dr. Florence De Llorbe, who also graduated in Michigan, and was an anesthesiologist. After marriage, they moved to Toronto. 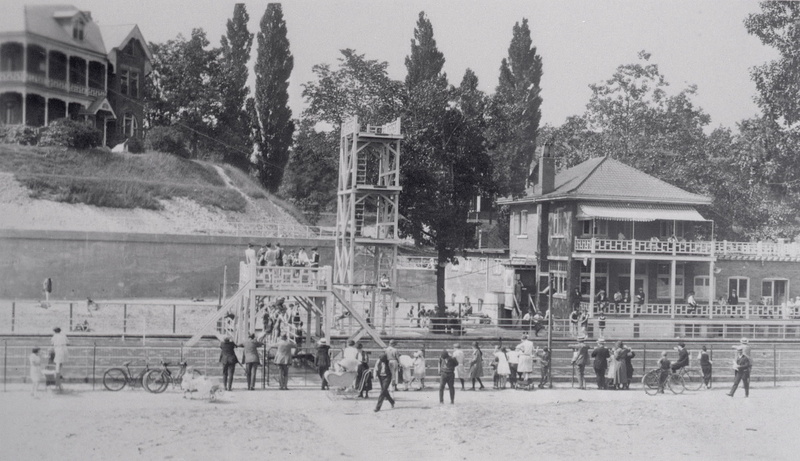 Canada, and started the High Park Sanitarium in West Toronto. In order to practice in Canada my father had to graduate from the University of Toronto Medical School. This he did, graduating in 1906. Also, he built a swimming pool for his patients. 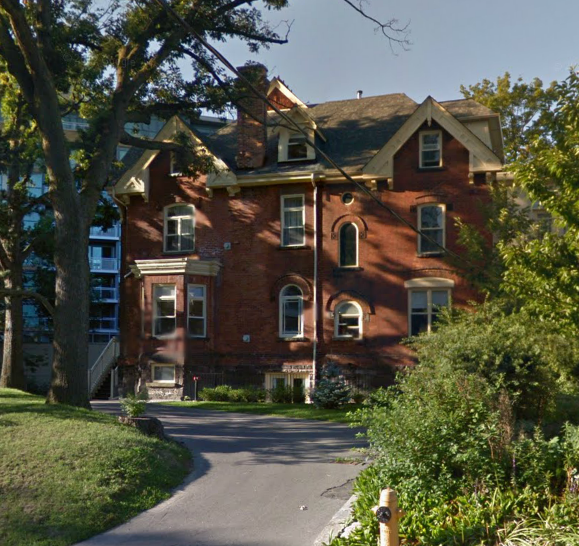 He then established and directed The High Park Sanitarium at 32 Gothic Avenue in West Toronto, Canada, from 1906 until 1922. 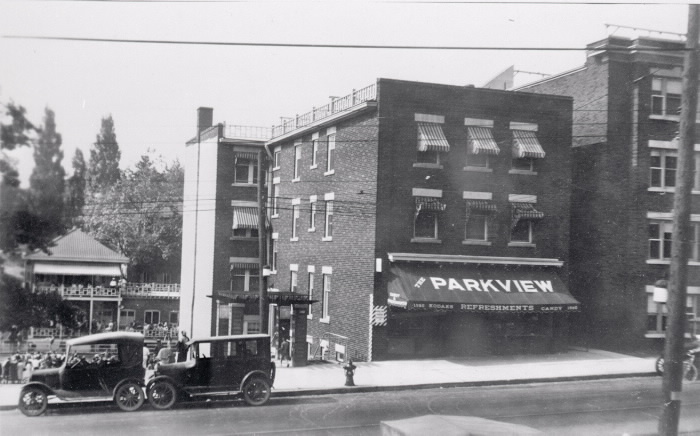 “In 1922, after my mother died, my father no longer operated the High Park Sanitarium. In 1922 my father rented the sanitarium to the Saratoga Hospital and then devoted himself to private practice and vitamin research. 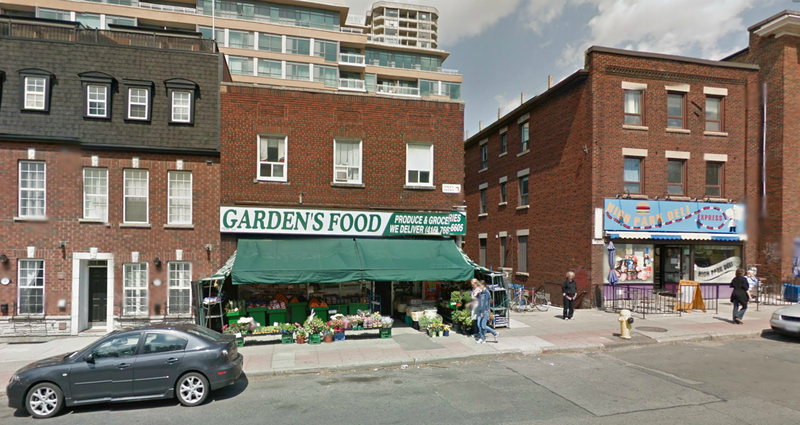 His general practice after 1922 was at 16 Gothic Avenue, Toronto. He rented the building at 32 Gothic Ave. to the Strathcona Maternity Hospital. “Dr. 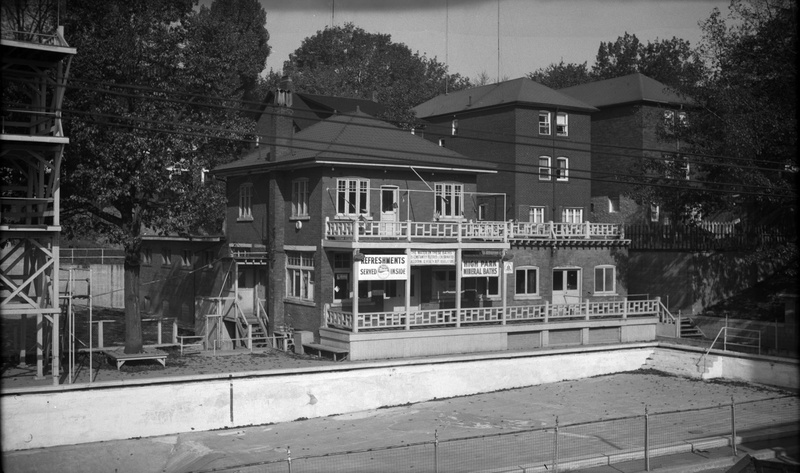 McCormick built and operated two swimming pools, each 100 feet long, at 1962 Bloor St. Toronto from 1913 until 1962. 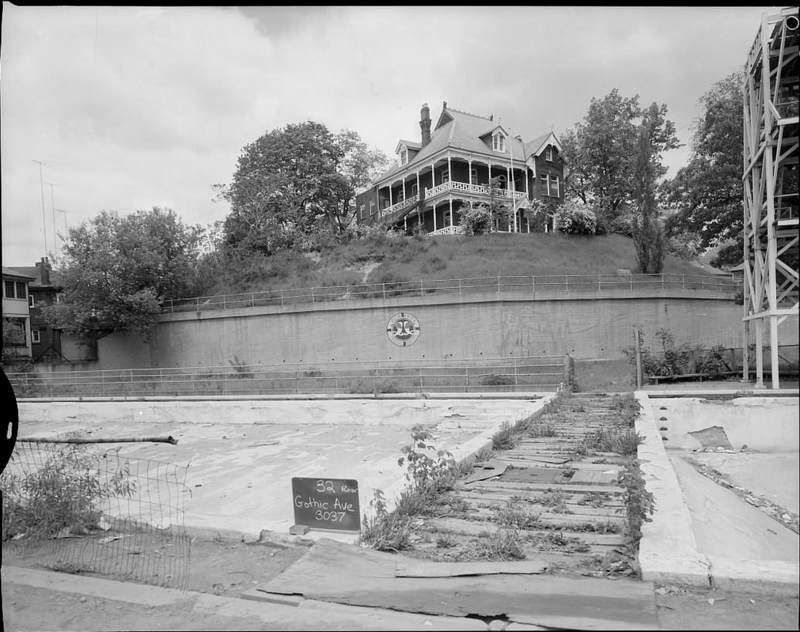 The original pool was built for patients of the Sanitarium, but later enlarged when changed for use by the general public. Remarkably, the old house on Gothic Avenue still stands. 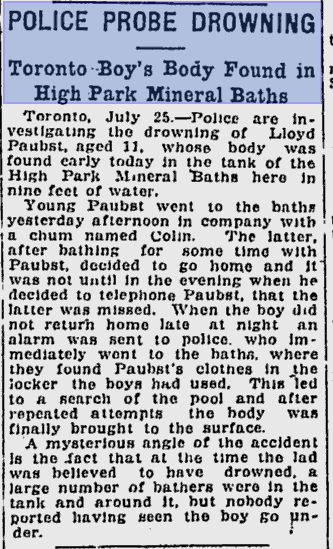 A newspaper clipping from 1927. 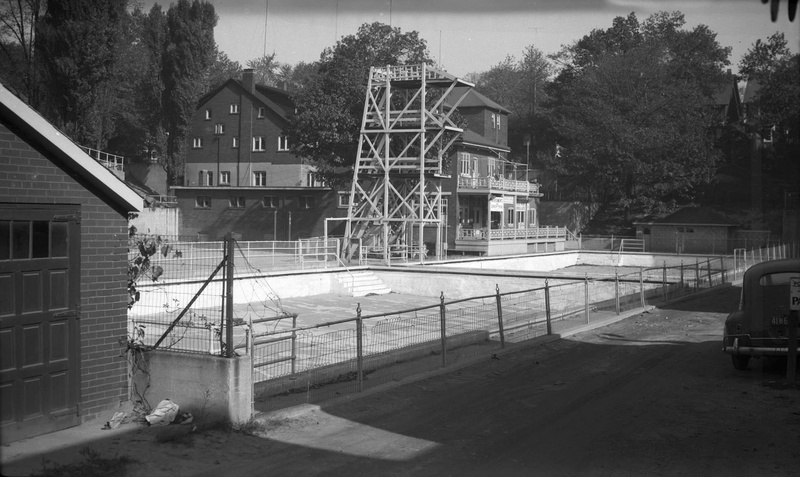 And finally the closed pool just before work on the subway started.